^ Carol Strickland (2007). The Illustrated Timeline of Western Literature: A Crash Course in Words & Pictures. Sterling Publishing Company, Inc.. p. 2. ISBN 978-1-4027-4860-8. http://books.google.com/books?id=Qw_7eINO_NcC&pg=PA2. 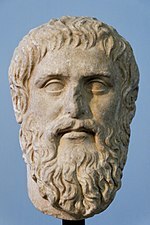 "Although the first writing originates in the cradle of civilization along Middle Eastern rivers — the Tigris, Euphrates, and Nile — the true cradle of Western literature is Athens. As the poet Percy Bysshe Shelley says, "We are all Greeks."" 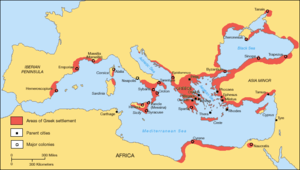 ^ “Greece during the Byzantine period (c. AD 300–c. 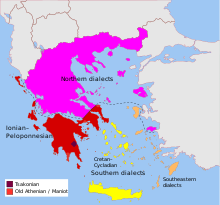 1453), Population and languages, Emerging Greek identity”. Encyclopædia Britannica. United States: Encyclopædia Britannica Inc.. (2008). Online Edition. 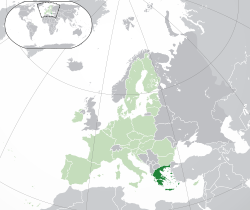 ^ On 14 August 1974 Greek forces withdrew from the integrated military structure of NATO in protest at the Turkish occupation of northern Cyprus; Greece rejoined NATO in 1980. ^ Henry George Liddel and George Scott. An Intermediate Greek-English Lexicon. http://www.perseus.tufts.edu/hopper/text?doc=Perseus%3Atext%3A1999.04.0058%3Aentry%3D*(ella%2Fs. 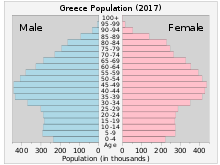 ^ ﻿Demographic references - Fertility rates﻿ (Report). OECD. (2016). doi:10.1787/health-data-en. 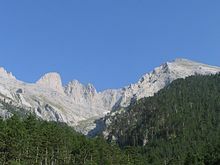 ^ The newest polls show about 20% Greek citizens being irreligious which is much more than 1%. Ultimately, the statistics are disputed until the results of the new census.